American Family Fitness is a group of fitness locations in Virginia. They currently have 9 locations spread-out in Richmond, Fredericksburg and Williamsburg. Fitness programs included in American Family Fitness are: cardio, weight training, group fitness classes, personal trainers and aquatic classes where available. All American Family Fitness memberships also include special amenities like child care, sauna and steam rooms, and swimming pools. American Family Fitness opened its first location at Richmond, Virginia in 1988. From then on, it has grown to 8 other locations across other cities in Virginia. American Family Fitness offers quality gym equipment, diverse group fitness programs and personalized training services. Club hours vary per location but most locations offer an extended 24 hours operations. If you want to maintain overall personal health and introduce health and fitness consciousness to your family, American Family Fitness provides the services to do just that. American Family Fitness encourages a family approach to fitness. Each member of the family is provided with age-specific programs from an extensive list of fitness activities to meet their personal goals. Alternate physical activities like swimming are available for those unable to commit to regular gym work. Nutrition reviews are also included to ensure a wholistic approach to wellness. Interested guests and members can approach the fitness desk and arrange for a free consultation with a personal trainer. In the session, the trainer will assess the member’s fitness levels, discuss goals and recommend steps to help meet them. Members can choose the personal training environment they’re most comfortable to participate in. Personal training can either be one-on-one, partner training or team setting sessions. The goal is to keep members enthusiastic in meeting their fitness goals. American Family Fitness locations have high quality fitness equipment that are regularly maintained and upgraded if needed. Aquatic areas and activities featured in some locations are enjoyed by both young and old. Locations have locker rooms, steam and saunas that are kept clean and looked after. Management keeps strict implementation of club rules to ensure that equipment and location quality is maintained. 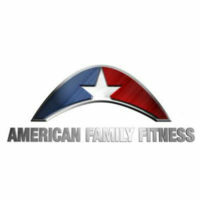 American Family Fitness staff are always friendly and accommodating. Trainers balance intense physical activities with fun mixed in to keep the member’s enthusiasm in optimum levels and assist achieve their fitness goals. Members appreciate the extended hours especially for locations open for 24 hours. It gives members the flexibility to still pursue health plans even on late hours. The KidZone is one of the key services of American Family Fitness that encourages guests to join the club. With this service, parents can enjoy their gym time while ensuring that their kids are properly looked after while they do so. To join American Family Fitness, guests need to choose from any of the different membership plans offered: single, household or family plans. Rates range from $65 monthly for a single applicant to $90 monthly for a pair. There are no enrollment fees when joining and guests can choose between 1 to 3 years of membership subscription. The longer commitment translates to lower monthly fees. Membership includes access to all 9 locations and an 8-week course for guided coaching on fitness activities offered in their centers. Also included are unlimited access to gym equipment, classes, pool, sauna and steam room where available. With the Family Membership plan, members are given access to the KidZone. The KidZone includes specialized infant care for babies as young as 6 weeks old and youth camps for pre-teens to join in. Cancelling memberships require members to personally advise on their intent to discontinue. Members need to fill the cancel form and present pertinent documentation to substantiate their termination request. Effective date of cancellation is 30 days after the last membership payment. Members can invite guests to avail of the club services. They would need to notify the club’s management ahead of time for their visit to push through. Guests are required to prepare the necessary identification as per the club’s policy. A $20 fee is charged for each session. Guests must be 18 years old and are registered town citizen. Guests can only avail of these services once per quarter or 4 times in a year. Each location offers an extensive list of fitness classes from gentle Yoga and high intensity spinning classes. Each class is facilitated by trained fitness professionals. Club facilities include racquetball and basketball courts, swimming pools, whirlpool, steam and sauna and weight areas. Kids with adult supervision can utilize the water slide and play pool area. American Family Fitness has an aquatic department that offers private or group swimming lessons. Some locations even offer an introductory scuba class to prepare members who are interested to pursue diving. Children can also join you in your fitness journey by taking part in KidZone activities and youth camps centered on building strength and confidence. Licensed professionals ensure your child’s development and safety. For more information on American Family Fitness membership and cost, visit official site .